Tharoor had also said the BJP would rewrite the Constitution if it came back to power, prompting the ruling party to describe his comments as an "attack on Indian democracy and Hindus". 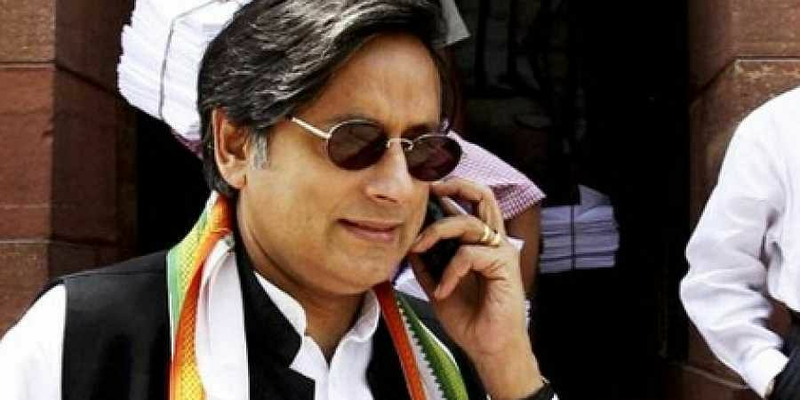 NEW DELHI: Congress leader Shashi Tharoor, who courted controversy with his remark that the BJP will pave the way for a "Hindu Pakistan" if voted to power again, today said he will not withdraw any of his statements and demanded an apology from those who attacked his office in Kerala. Asked about claims that he was trying to break the country with his remarks, Tharoor told reporters outside Parliament that it was not so. "If you make India for one religion, that can probably break the country. When everyone will be able to live together, how will that break the country," he said. "Those who attacked my office should apologise. I am not withdrawing anything," he added when asked to comment on demands that he should apologise. Five activists of the BJP's youth wing were arrested yesterday for defacing his office in Thiruvananthapuram. Shashi Tharoor has making meaningless attacks on BJP more often these days only because he is aware of his imminent conviction in the murder case and he want to prepare grounds to term the judgement as political vendetta against him.